Homeopathy dates back to 1796 when the German physician and pharmacist Samuel Hahnemann proposed a new set of healing principles as an alternative to conventional medicine. 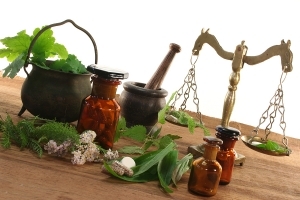 Homeopathy is based on the principle that the natural state of the body is one of health; and human beings, like plants and animals, possess the ability to heal themselves. Homeopathic medicines, made from carefully selected plant, mineral and organic ingredients, nurture your body’s natural healing powers. What’s the Difference Between Homeopathy and Conventional Medicines? Many conventional medicines attempt to suppress symptoms without allowing the body to heal itself, sometimes resulting in harmful side effects. Homeopathy teaches us that symptoms are a response to disease, causing imbalance in the body. Instead of suppressing the symptoms, homeopathy gently works with the body to stimulate balance or healing. Homeopathy takes into account the unique characteristics of each individual and the symptoms experienced when ill, by offering a remedy to stimulate a healing response. In clinical studies, homeopathic products have proven to be free of the harmful side effects often experienced with chemical medications. Health-conscious people have learned to rely on the purity, safety and healing power of homeopathic medicines, which are strictly regulated by the Food & Drug Administration. Homeopathic: These remedies are best taken on an empty stomach, at least 15 minutes before or after drinking. When taking these remedies, it is best to avoid strong smells such as mint, coffee, etc. as this decreases the effectiveness of the potency. Best taken directly in mouth or under tongue.